It’s time for dermatology. An algorithm for automatic learning or machine learning has matched for the first time dermatologists by identifying certain types of skin cancer based on simple photographs of skin lesions. It sounds like another dull advance of artificial intelligence, but in this case it can have a brutal impact in the short term. Skin cancer is one of the most common cancers in the world. According to the WHO, a third of all cancers are skin and almost 100,000 people die each year because of it. Despite that and despite the fact that it is probably the most visible cancer, it is almost always diagnosed late when it is already too aggressive. An algorithm like this and a simple smartphone could turn our fight against skin cancer. And it is not enough. A recent algorithm created by Stanford University can diagnose a skin cancer with the same precision as a human doctor. It is not the first system that applies the analysis of images to achieve it, but it does seem to be the most accurate, taking advantage of advances in artificial intelligence; The algorithm runs on GoogleNet Inception v3, a neural network that was trained by 1.28 million images to teach you how to recognize elements in the photos. It all started as a class work at Stanford University. Sebastian Thrun, assistant professor of artificial intelligence, proposed to his students to start training a neural network. 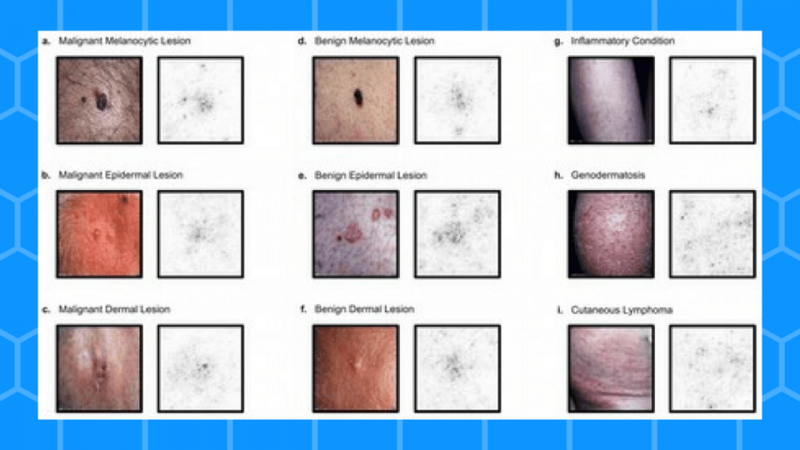 Stanford researchers collected almost 130,000 images of skin lesions associated with some 2000 different diseases and, to the surprise of all the first results were exceptional. “We realized that it was feasible to emulate the human dermatologist and that’s when we said, ‘Look, this is not just a class project for students, this is an opportunity to do something great,'” Thrun said. The results in Nature. Specifically, it has published a test in which they faced the algorithm against 21 dermatologists. On a bank of new images the following step had to be indicated: to do a biopsy, to treat the injury or to reassure the patient. And they proved their effectiveness by asking him to identify skin cancer in a group of images, and comparing his diagnosis. The images were of lesions related to different types of skin cancer and the diagnosis was already verified by biopsy. In each and every one of the images the algorithm equaled or surpassed the performance of the medical specialists. The system has some limitations at the moment: the diagnosis was based on photos, and dermatologists use the touch to complement their evaluation; but the researchers agree that eventually it will help them in their work, or make a first analysis and determine if it needs a human opinion. But it is key to fighting an evil that affects 20 percent of the population, and grew 130 percent in the last 20 years, In 2014 a group of the Conicet developed an anti melanoma vaccine that is in its last stage of test. It is true that such applications do not replace the diagnostic work of dermatologists. There are criteria that go beyond appearance (such as the evolution or depth of the injury) that are as important or more for proper disease control. But undoubtedly, with the photographic quality and processing speed of today’s smartphones, this type of applications can completely turn around the way the medical system today identifies and treats skin problems. We just need them to be reliable. There are many mHealth applications on the market that are oriented to the dermatological field, but the studies that have been carried out with these applications indicate that using them can be a risk in itself. Many of them even catalog up to 30% of melanomas as ‘non-worrisome’ lesions. That is to say, we are not only talking about not getting it right, but that they can delay the diagnosis of sine die disease. Algorithms like today are key to getting a mHealth with less smoke and much more effectiveness. The IBM Research organization, in collaboration with Memorial Sloan Kettering, discusses the application of cognitive computing for the analysis of dermatological images as a diagnostic aid in the identification of skin cancer. The results of the preliminary experiments presented by IBM Research showed that of 3000 images of lesions analyzed in less than one second each, the system was able to rule out or detect melanoma and recognize the stage with an accuracy of more than 95% (sensitivity 97% and Specificity 95%), compared with the figures of 75-84% reported in the literature1, corresponding to analyzes carried out manually by clinical experts. “Given the incredibly high incidence and mortality of skin cancer, there is a real opportunity to have a clear and significant impact on the health and longevity of individuals on a global scale,” said Dr. Noel Codella, technical coordinator of the project. 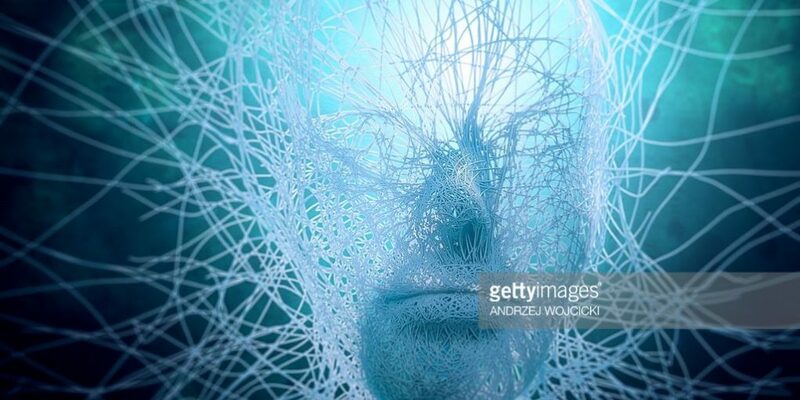 Cognitive computing is considered an area of ​​artificial intelligence. In 1993, R. Colin Johnson defined cognitive computing as a set of technologies that imitate the reasoning found in nature. The system consists of an automatic analysis of dermatological images, developed from the ‘training’ of computers for the identification of certain patterns obtained from extensive research files. Computers quantify lesion characteristics such as color distributions, shapes, edges, density and textures.